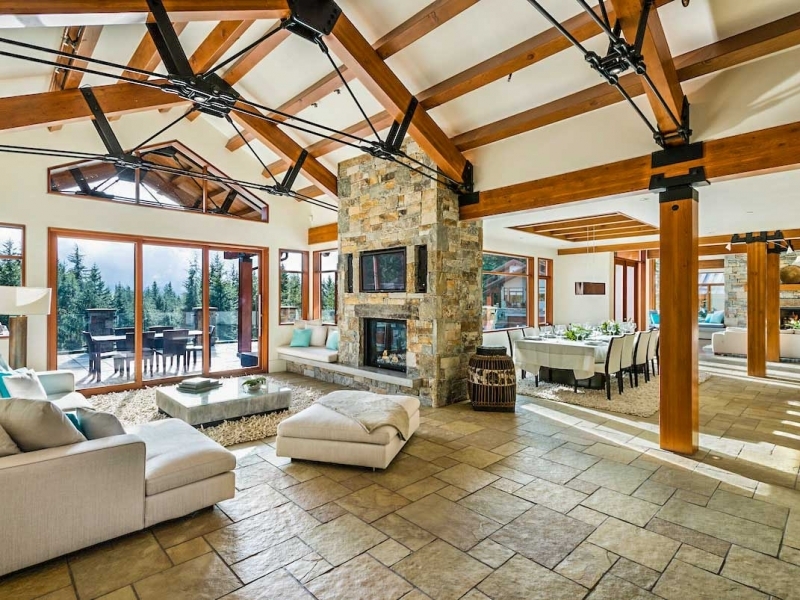 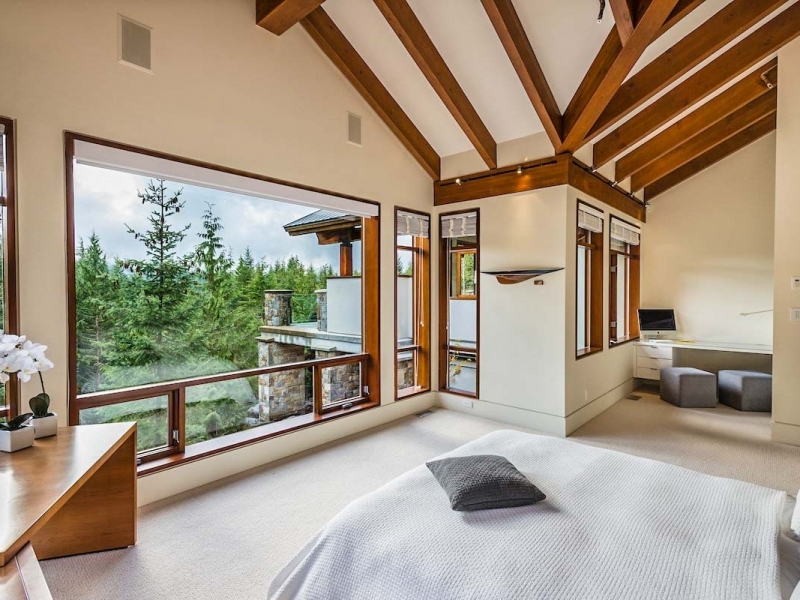 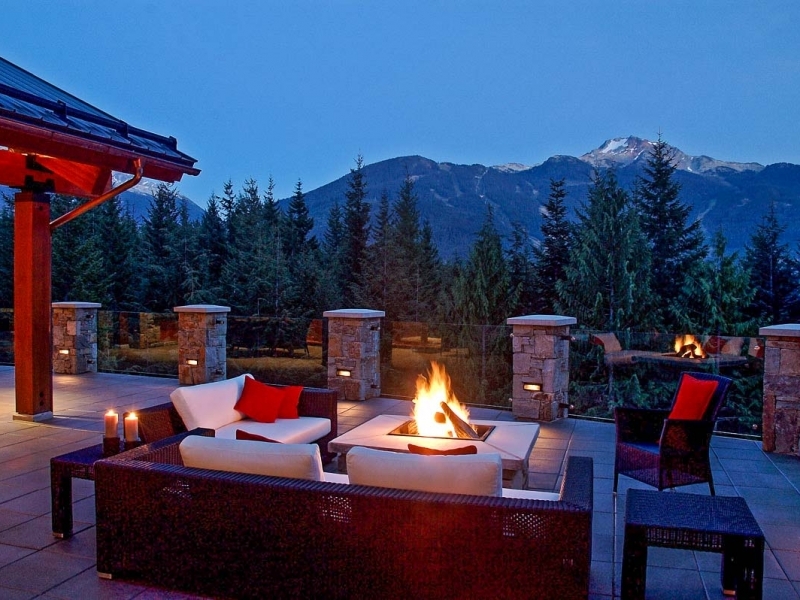 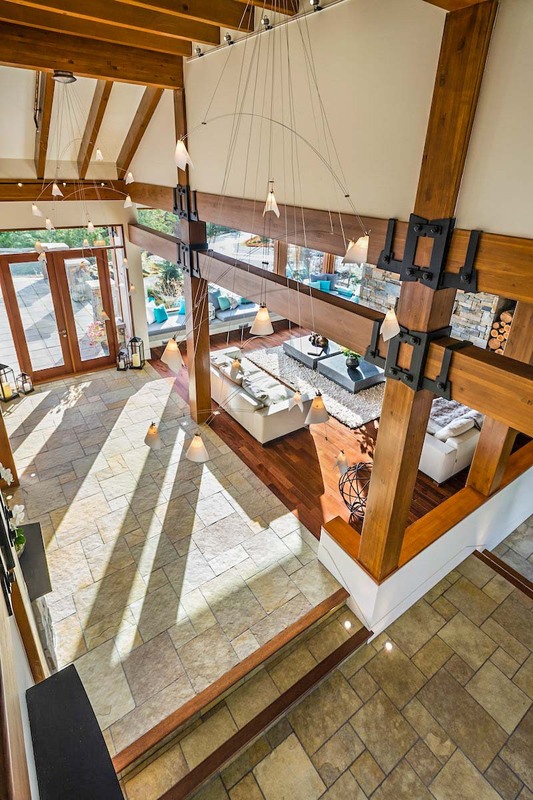 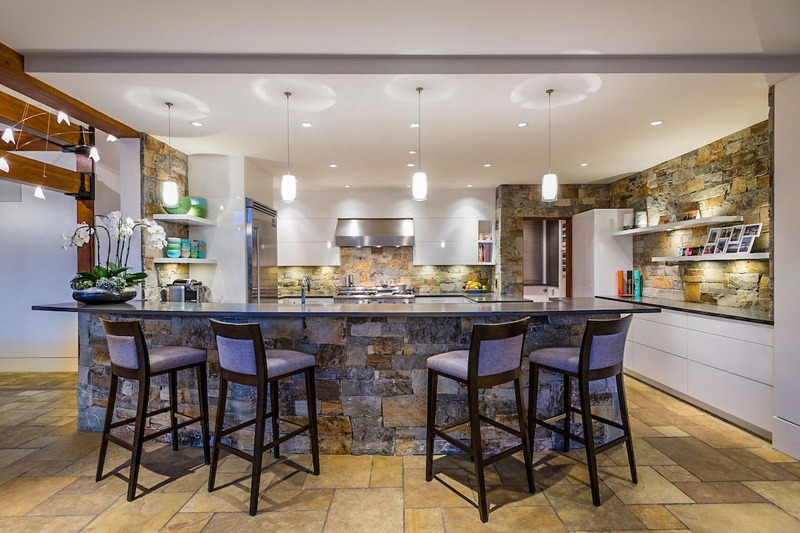 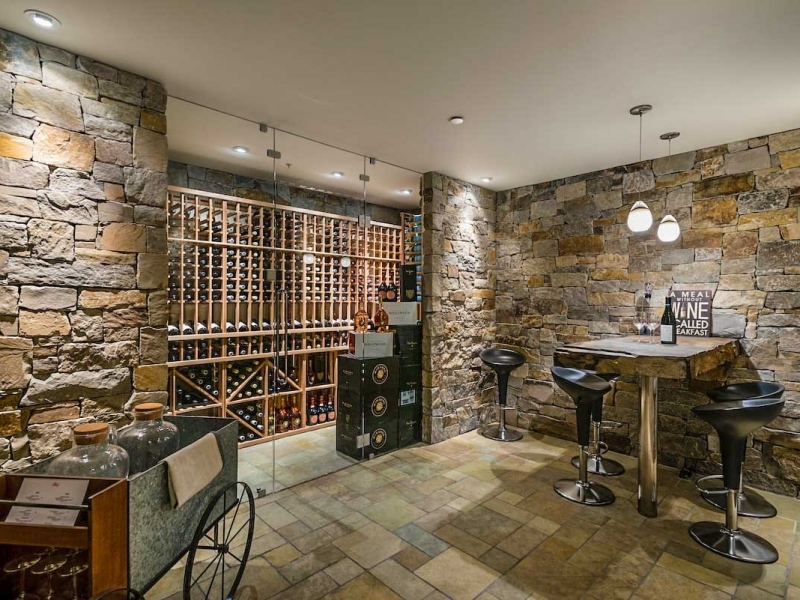 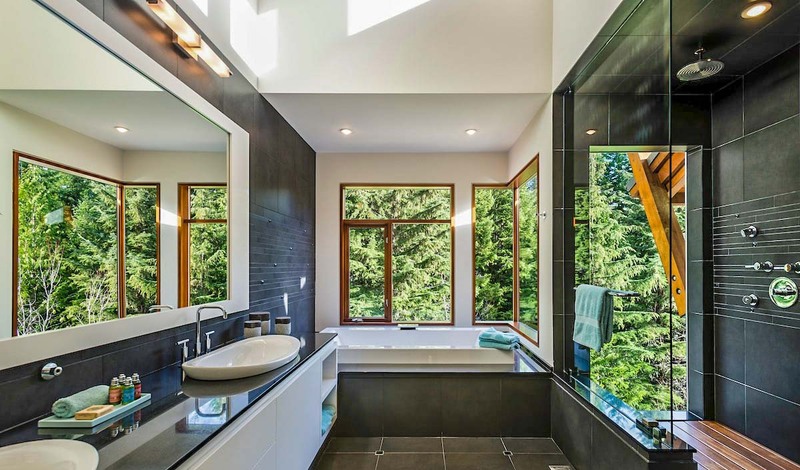 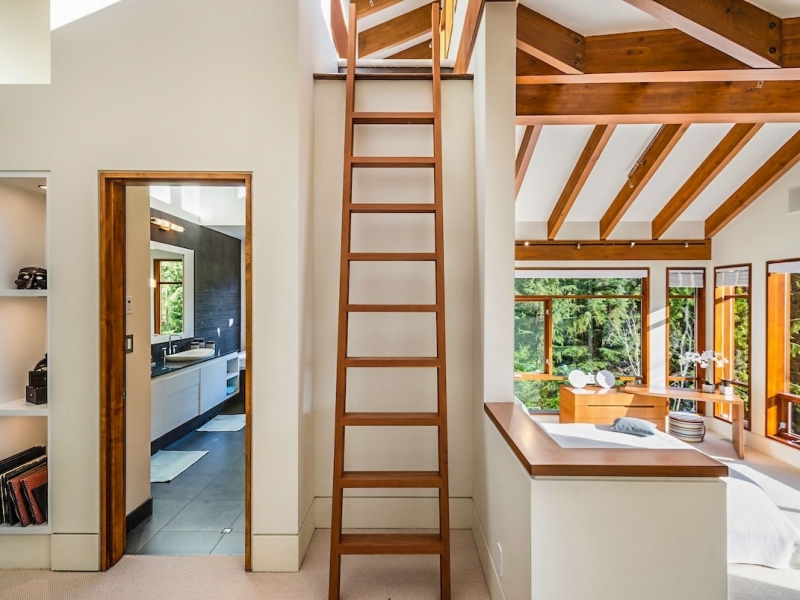 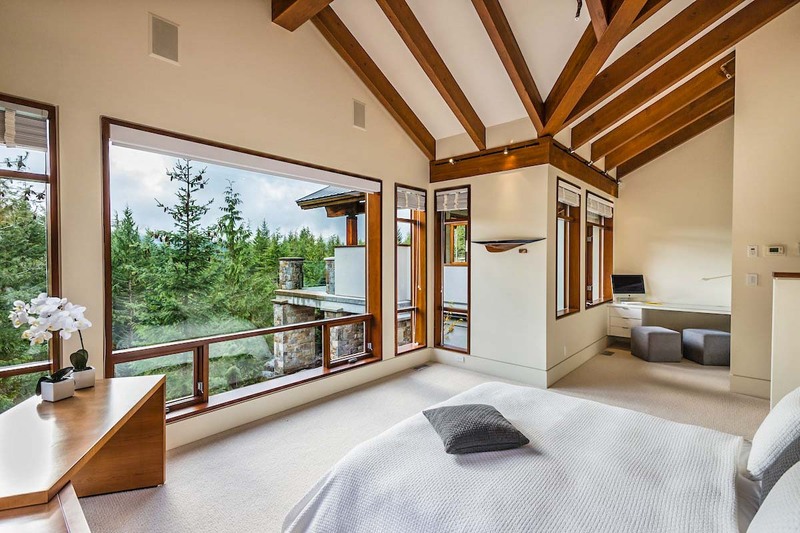 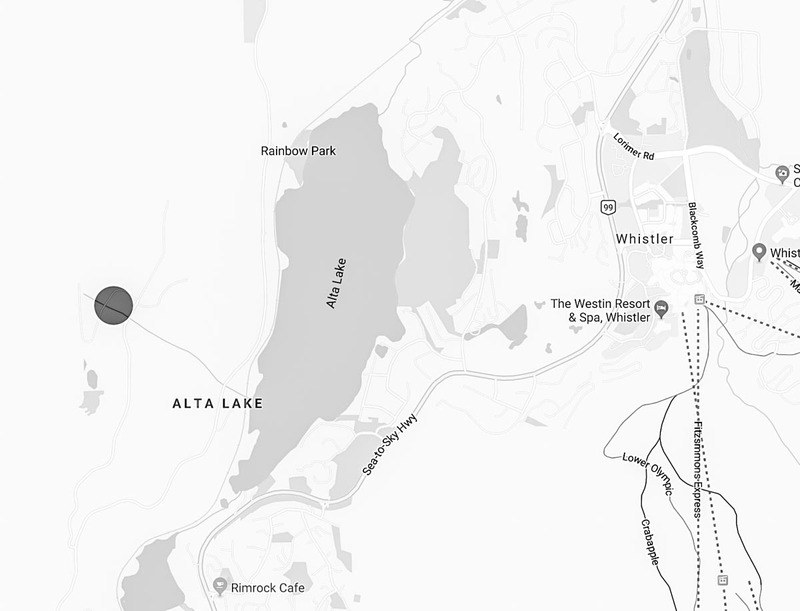 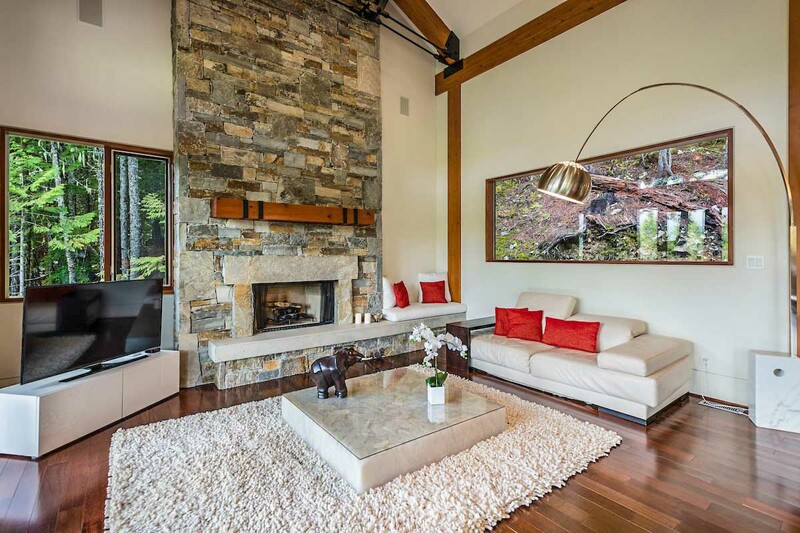 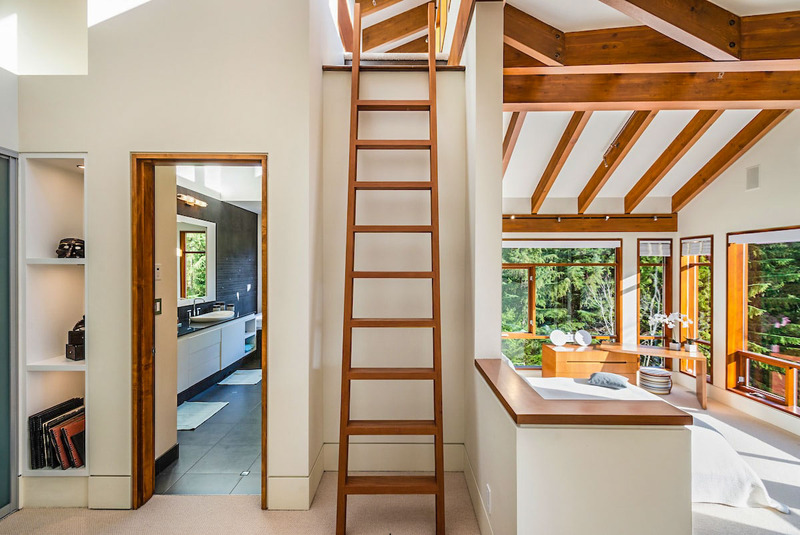 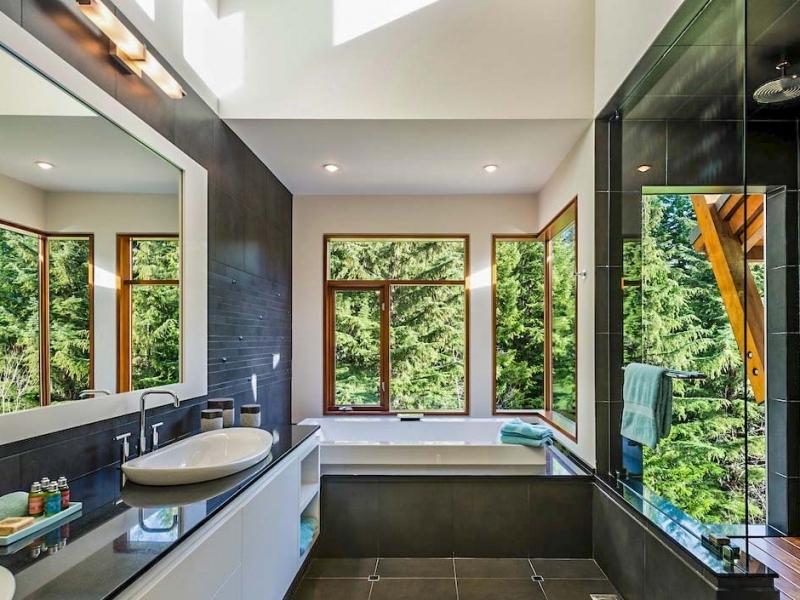 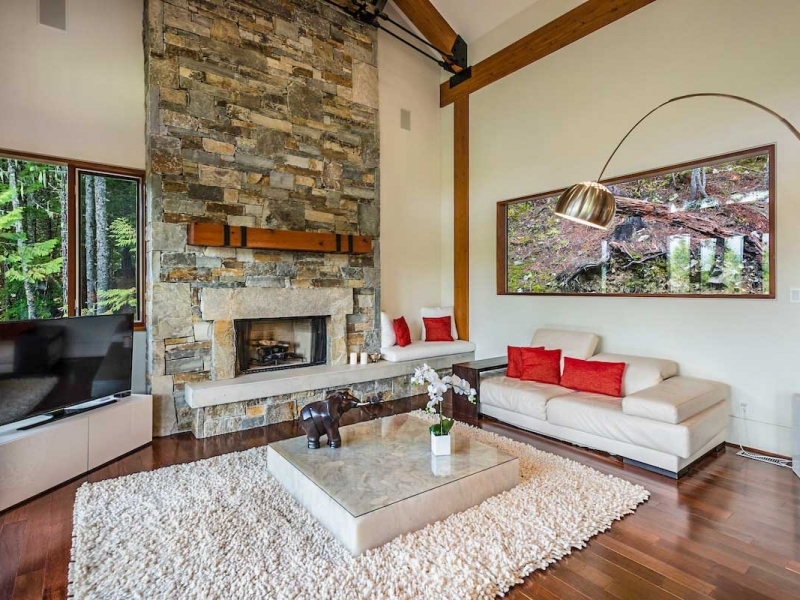 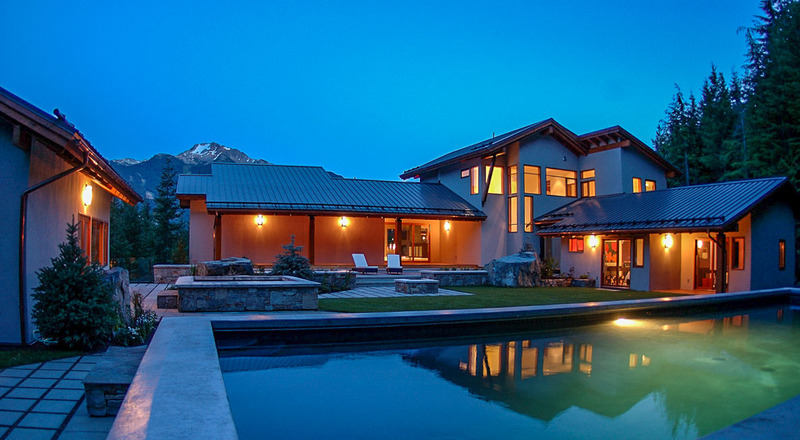 Belmont Estate rests in Stonebridge, Whistler’s most exclusive and private neighborhood. 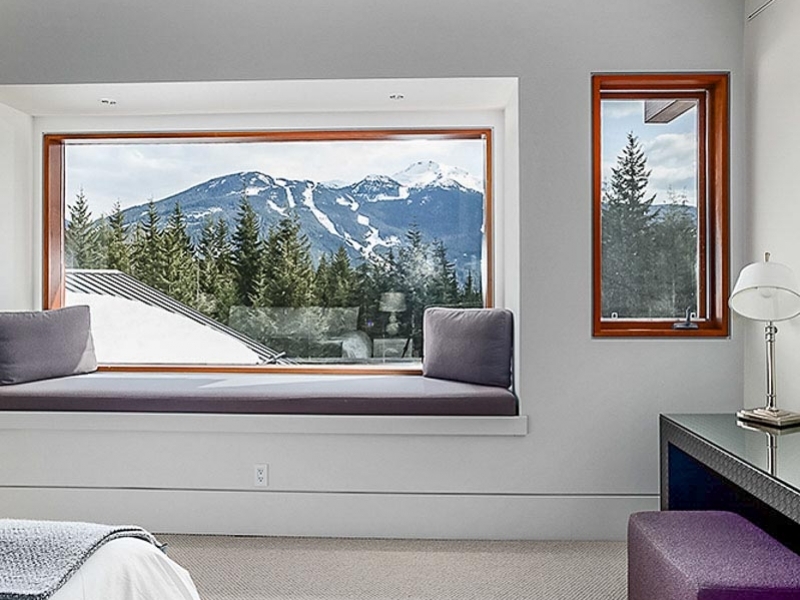 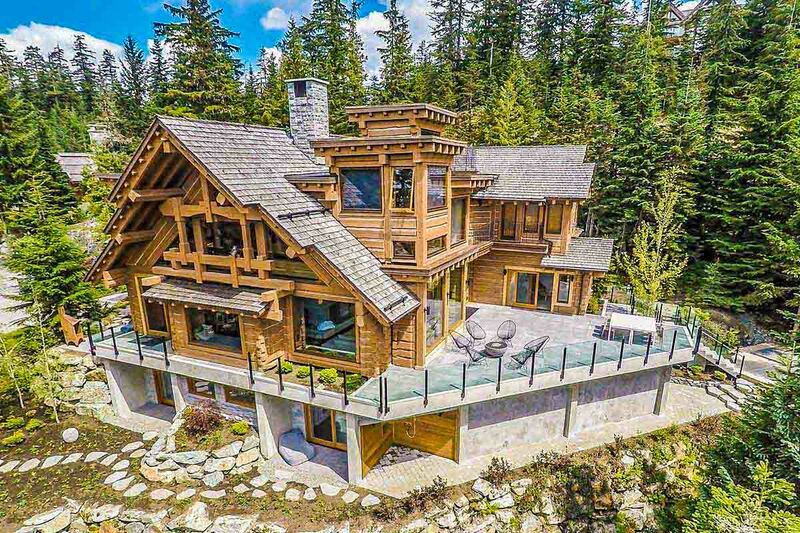 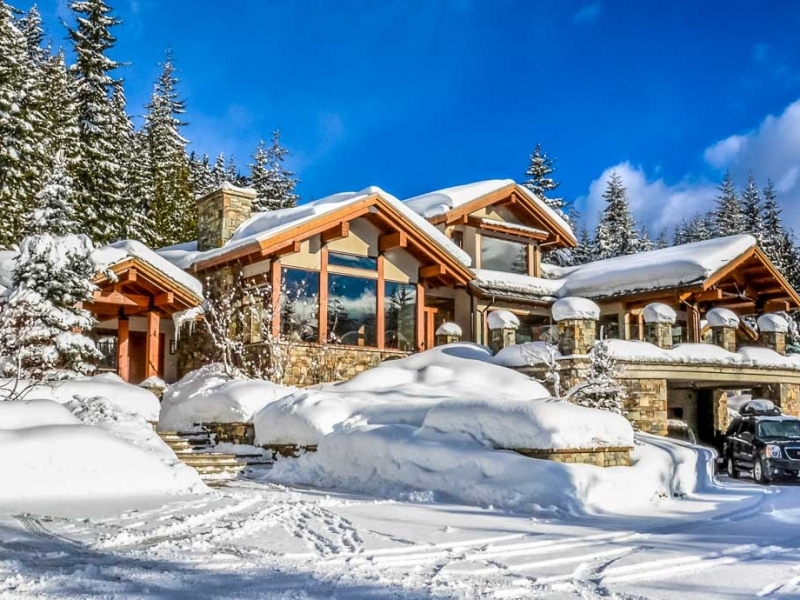 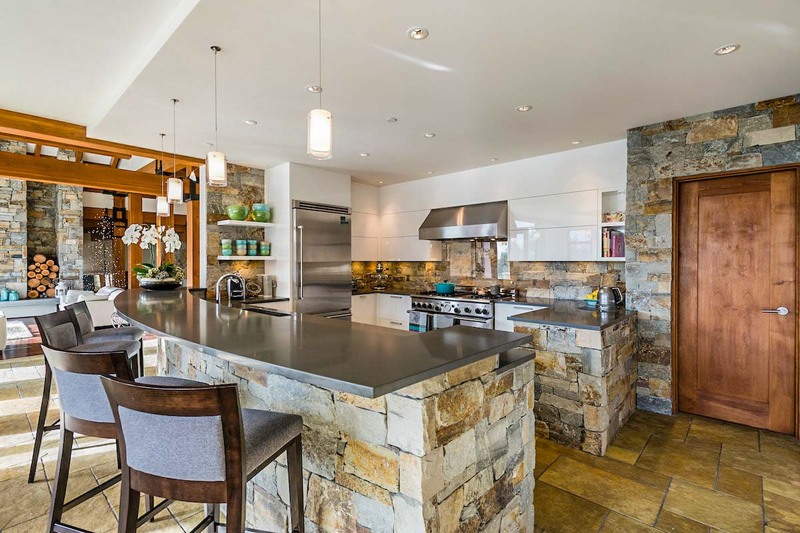 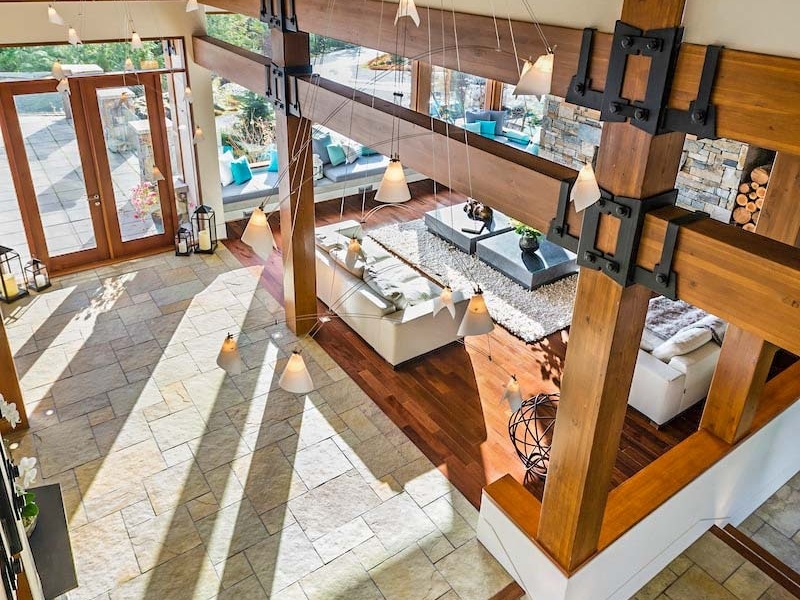 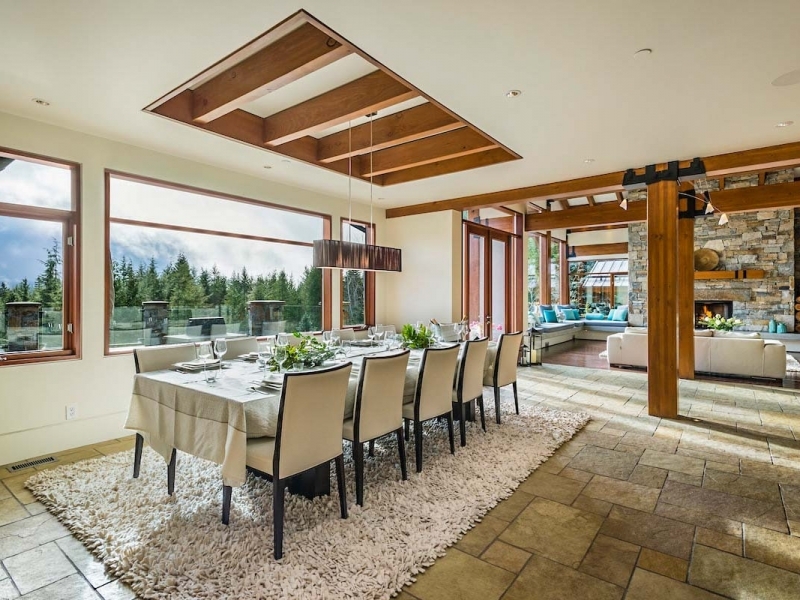 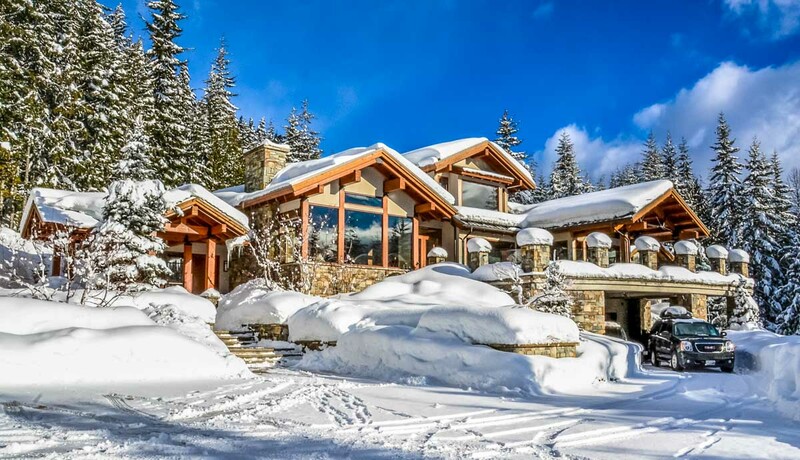 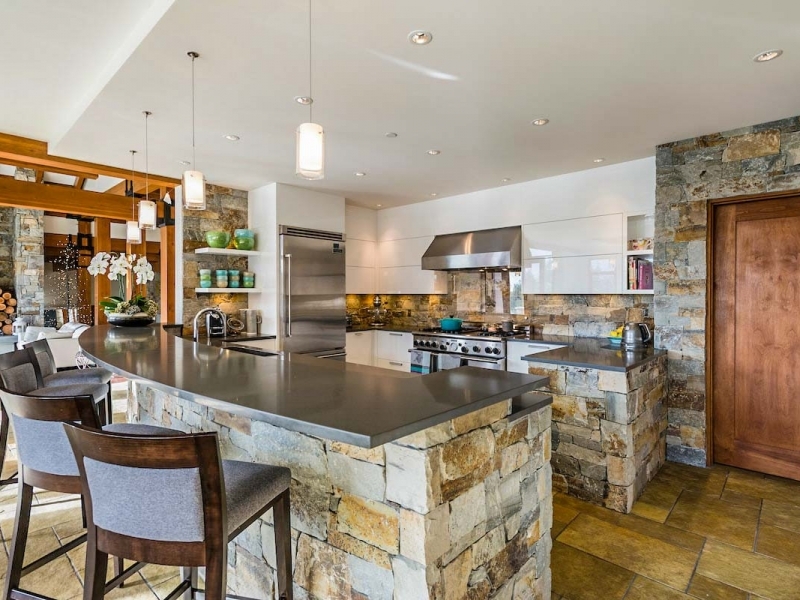 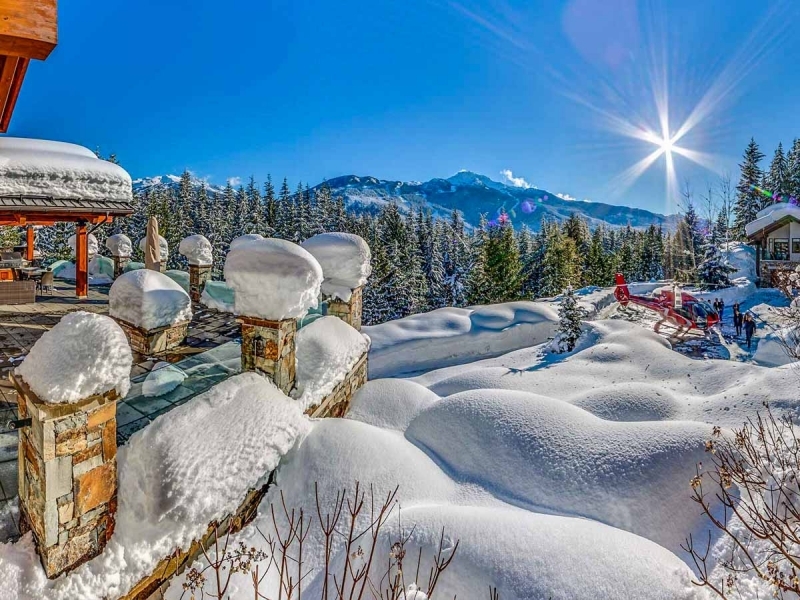 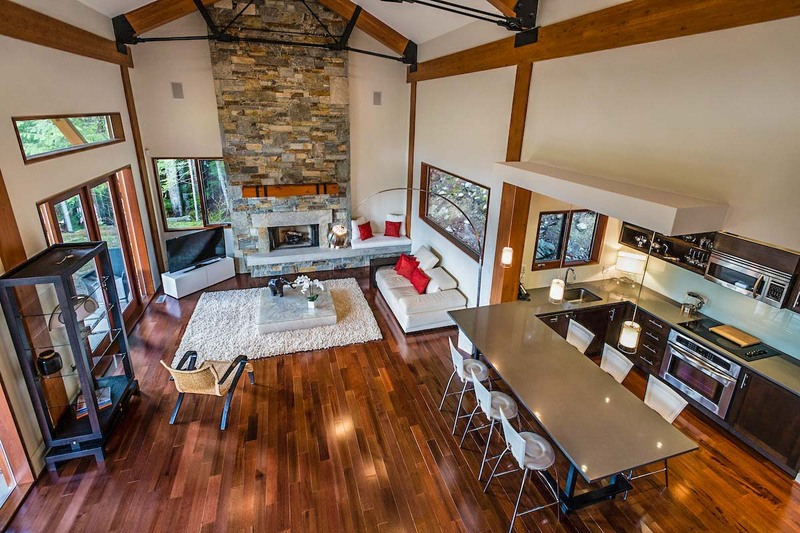 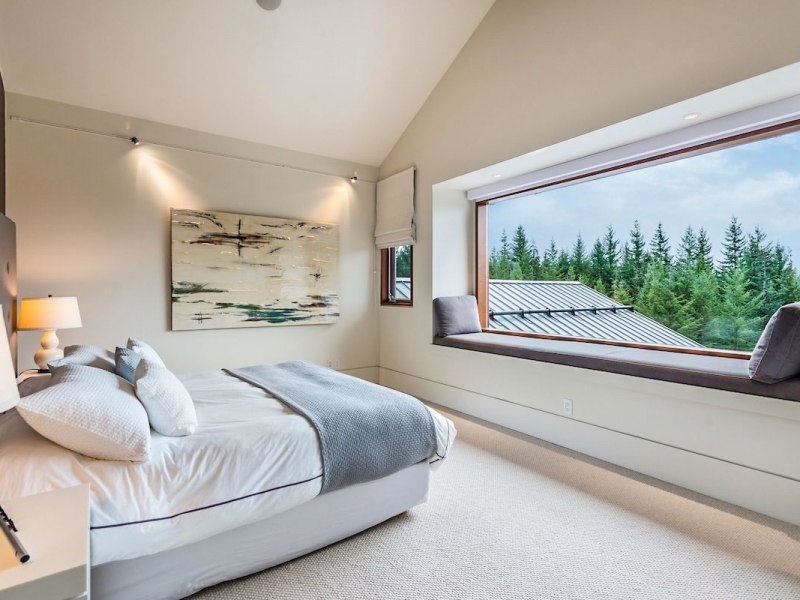 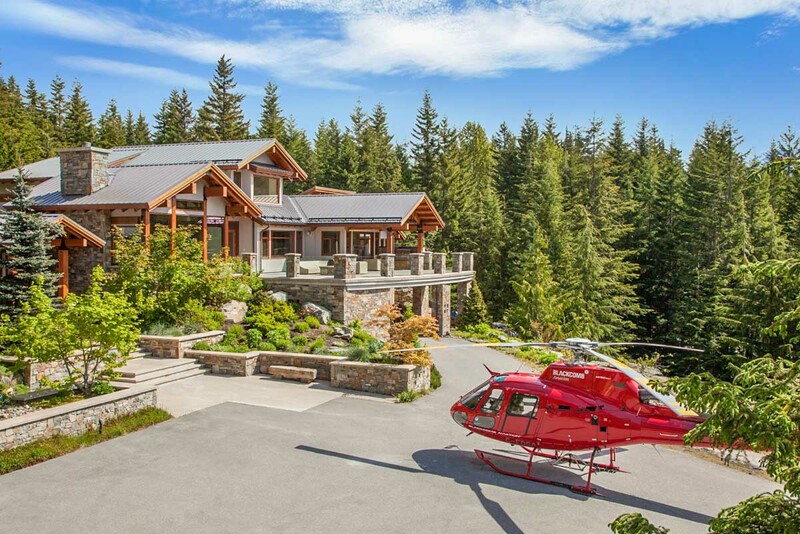 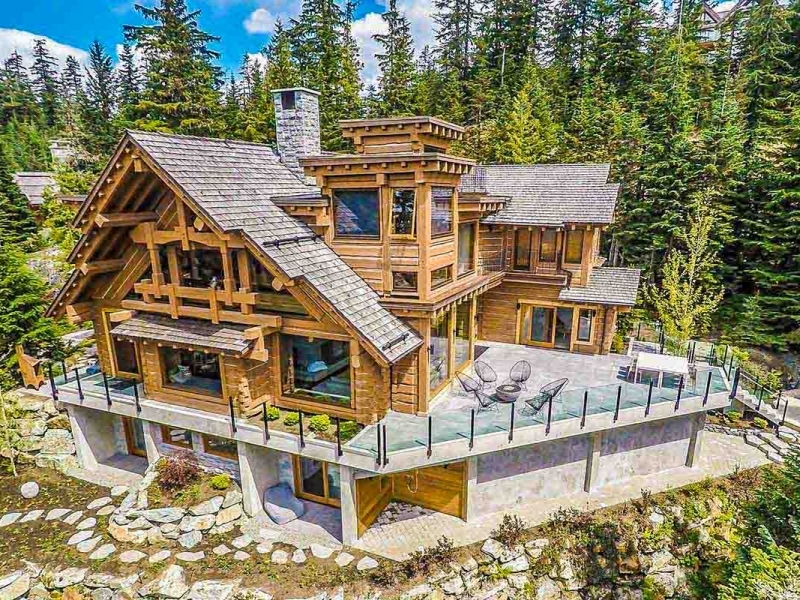 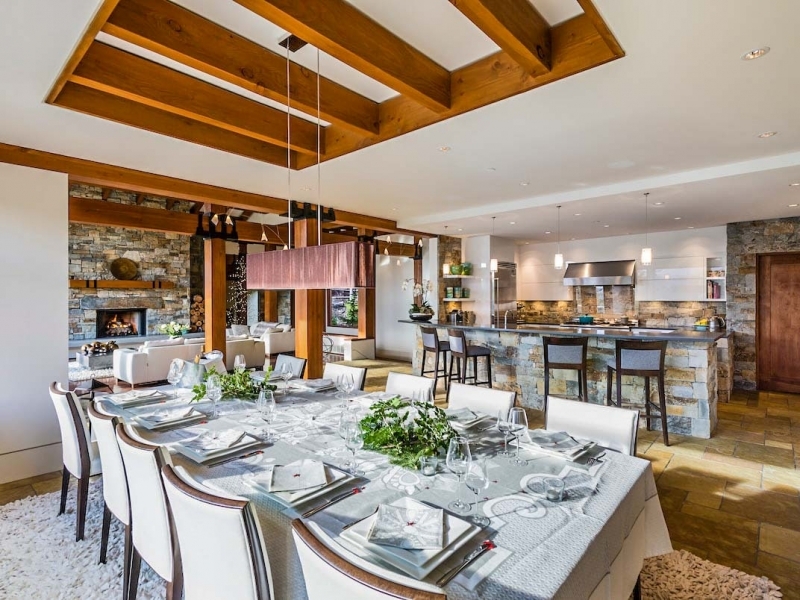 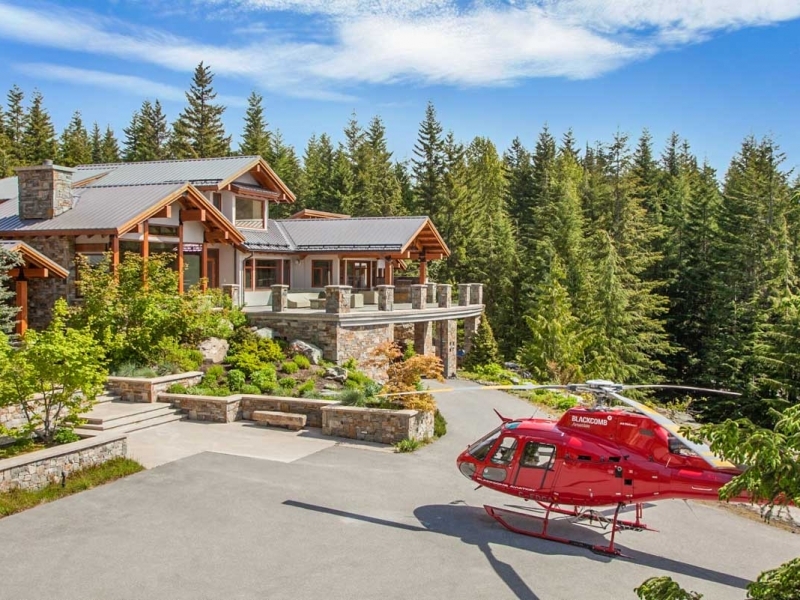 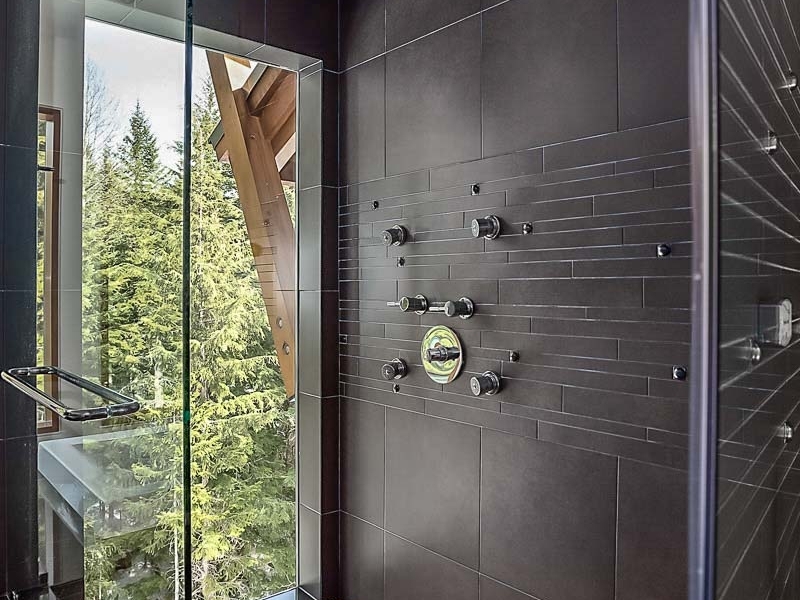 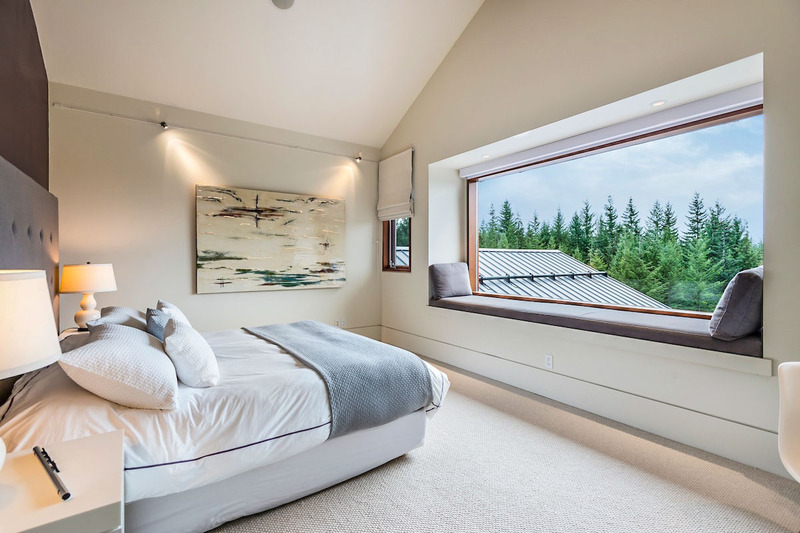 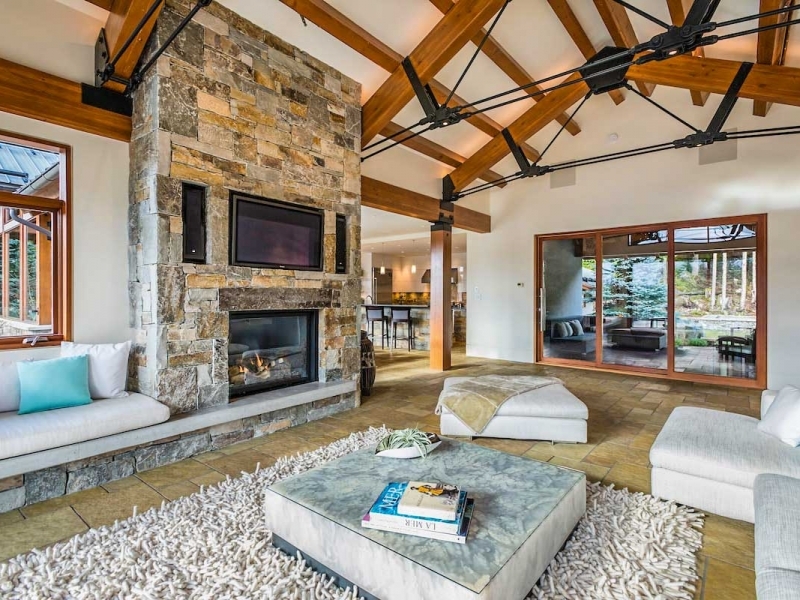 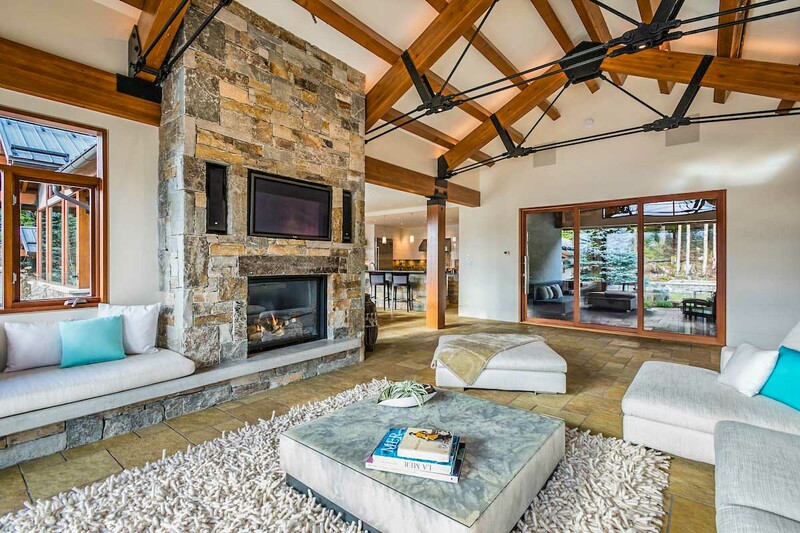 Commanding magnificent views across Whistler resort, the Estate is nestled within seven acres of prime land and boasts its own helipad, making it one of the world’s only truly Heliski-in/Heliski-out properties. 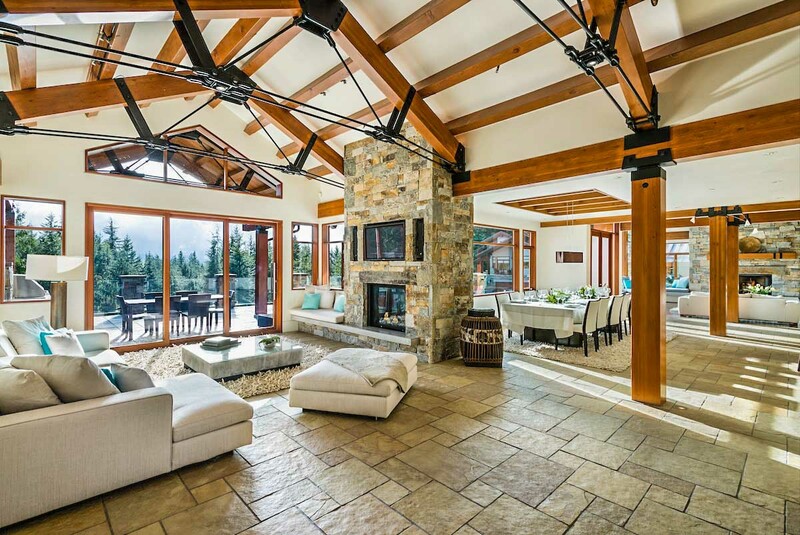 The living room is large with spectacular views. 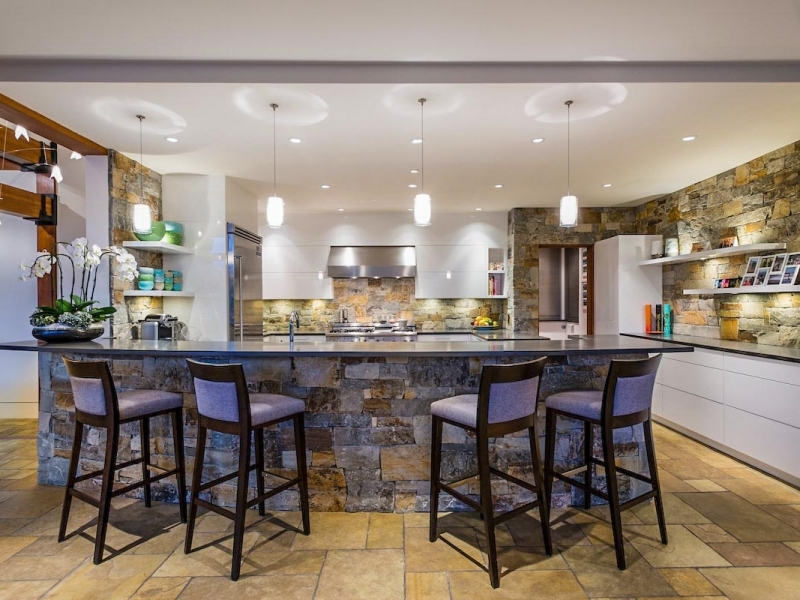 Enjoy the modern and functional gourmet kitchen. 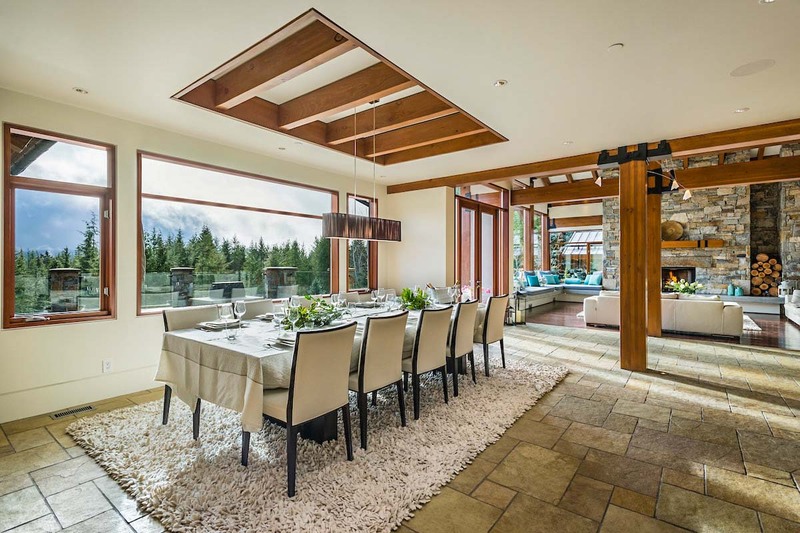 Dine at an extra large dining room table, with an exceptional view. 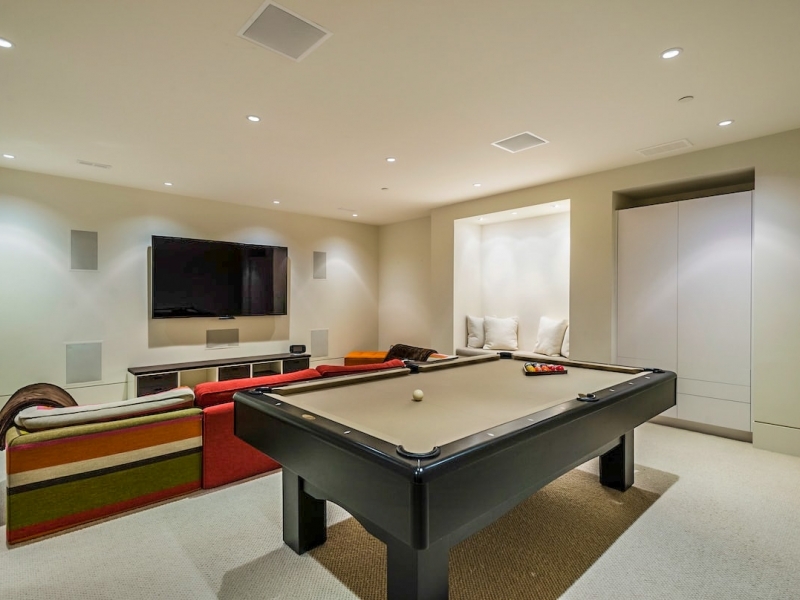 The estate also offers a state of the art media room, playful family room, and a private office. 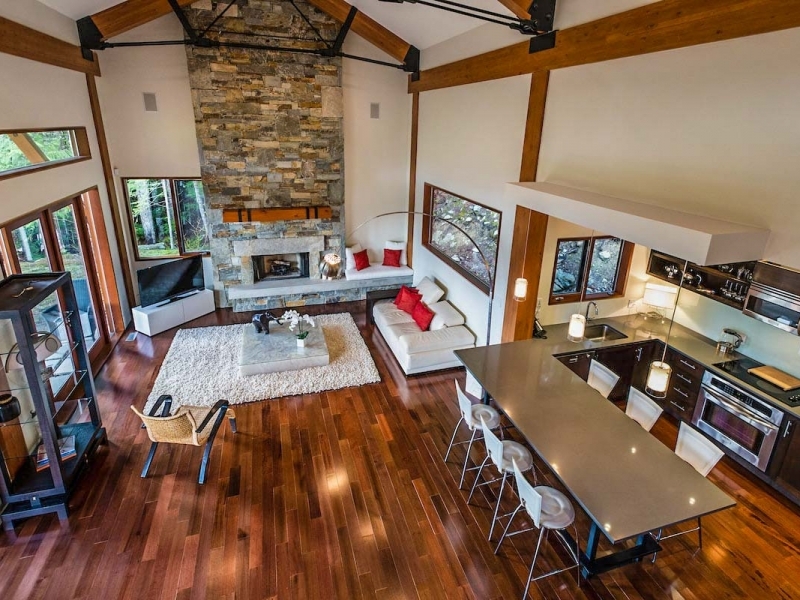 These spaces provide ample living and entertaining room. 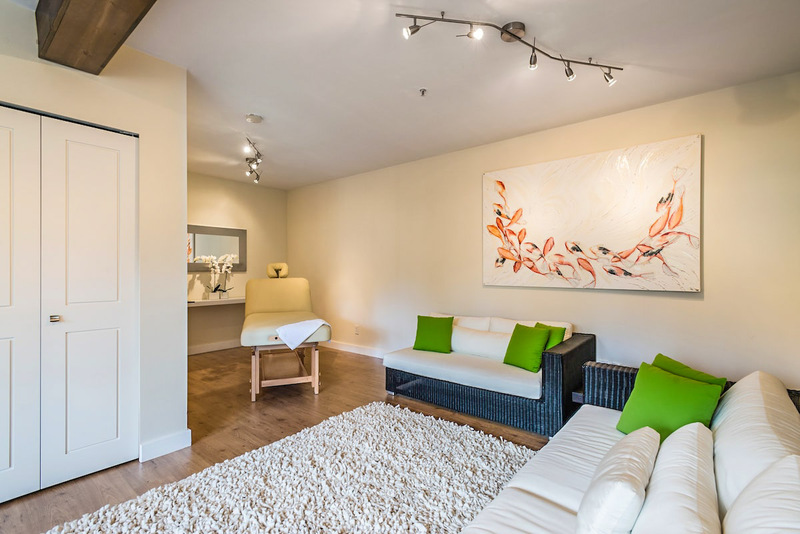 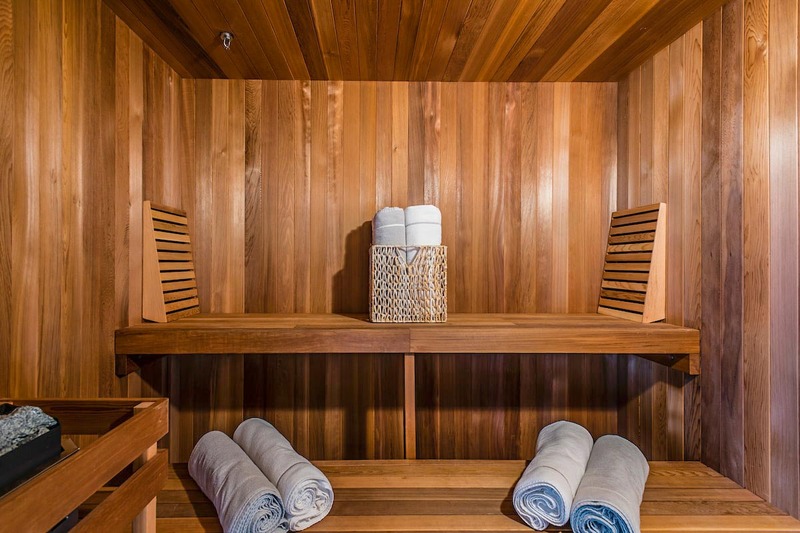 Retreat to the gym and spa building to relax with a sauna, a shower or workout with the finest in exercise equipment and audio-video electronics. 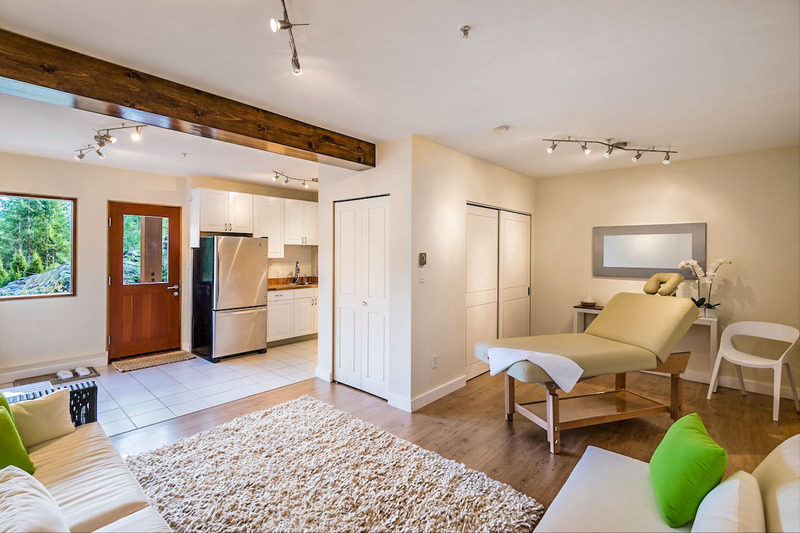 Located in the back courtyard is a 12 person hot tub and a large 15m x 5m outdoor, heated swimming pool. 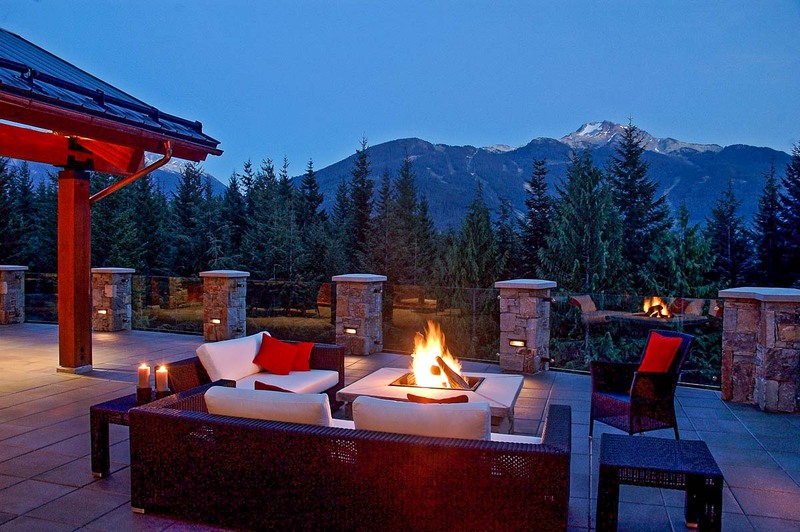 Accompanying this space is also a wood burning fire pit with comfortable sitting, overseeing a beautifully landscaped garden. 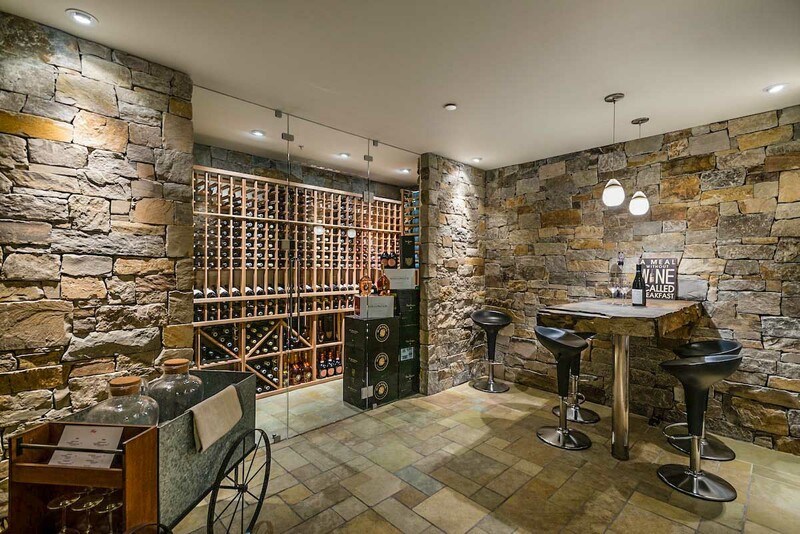 A mountain treasure, this estate offers the ideal year-round use for holidays and vacations. 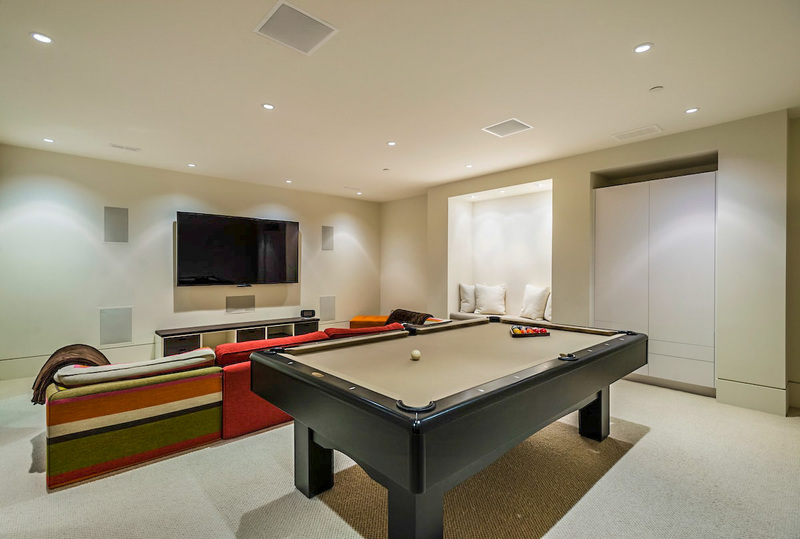 Additional amenities include a professional prep kitchen with a service food elevator, which brings the dishes to the main floor area. The Helicopter landing pad is at your door to reach the powder of untracked slopes of the amazing mountain range surrounding you. 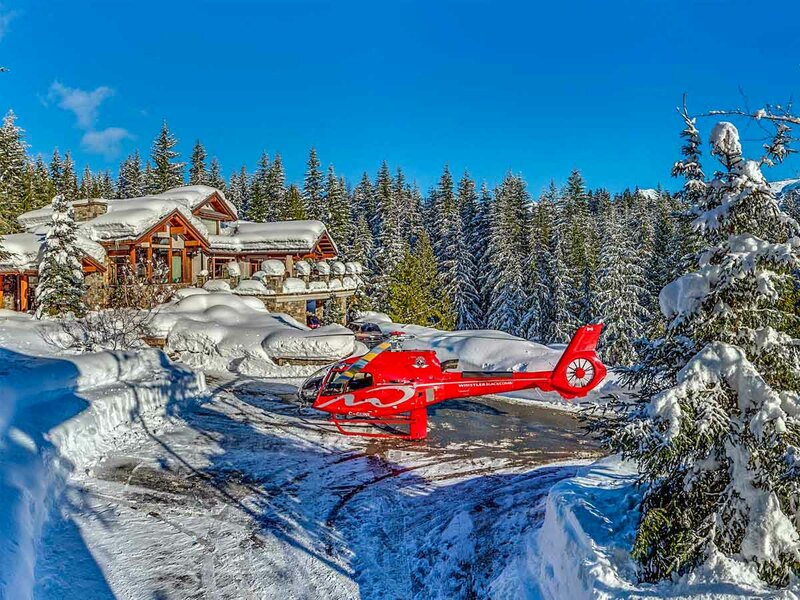 No delays, no line up. 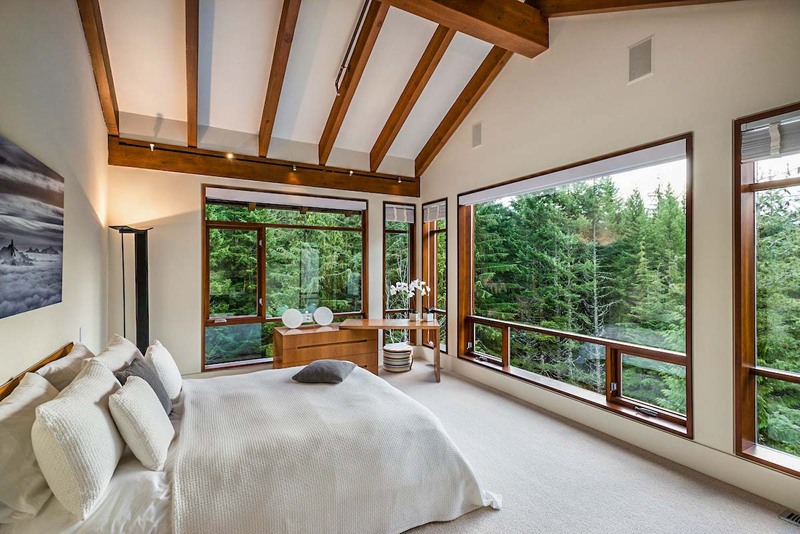 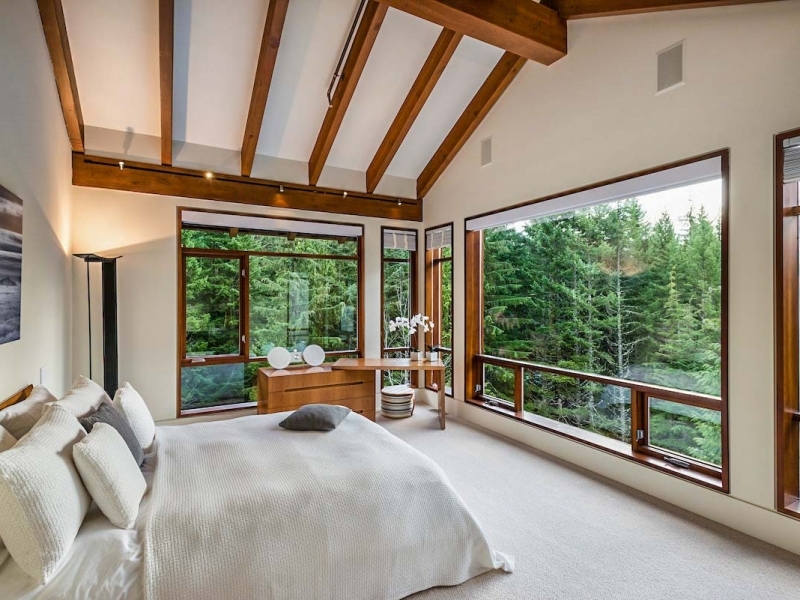 The Belmont Estate has 2 spectacular master bedrooms. 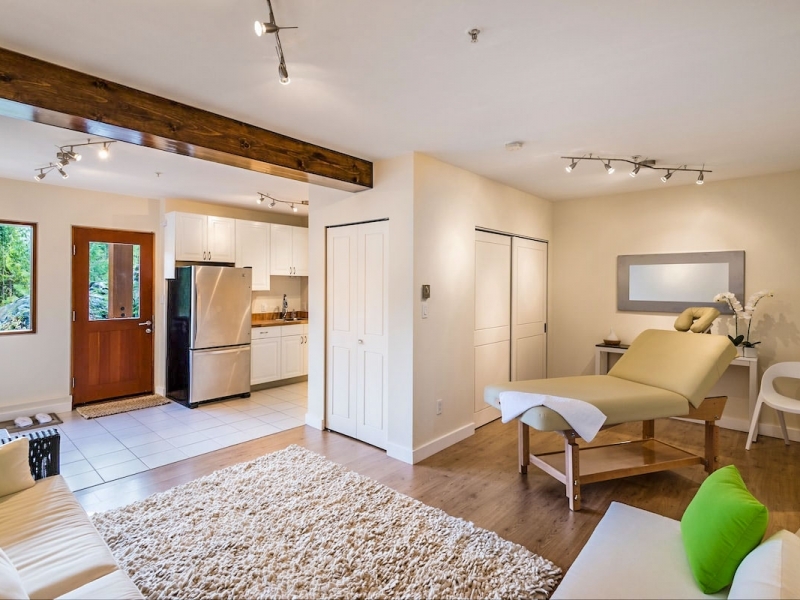 Both rooms offer large en-suite bathrooms. 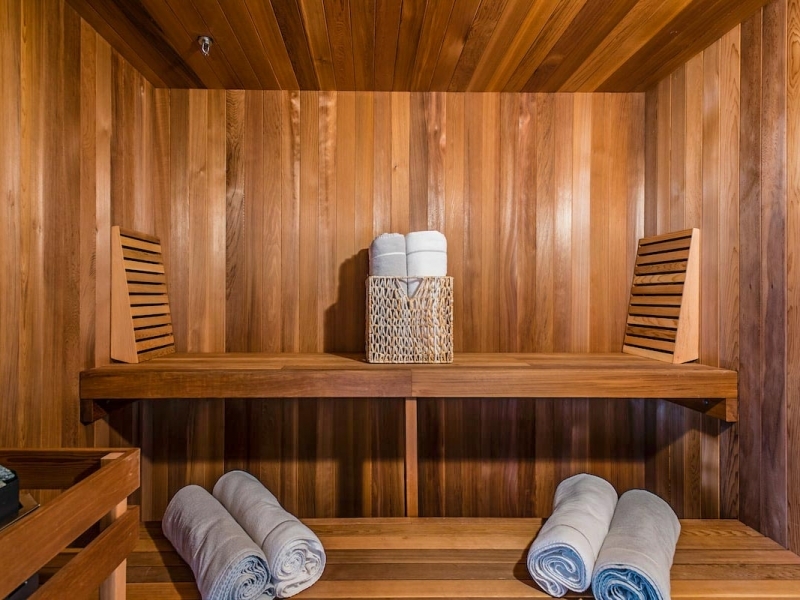 One room has a massive Hammam style steam shower. 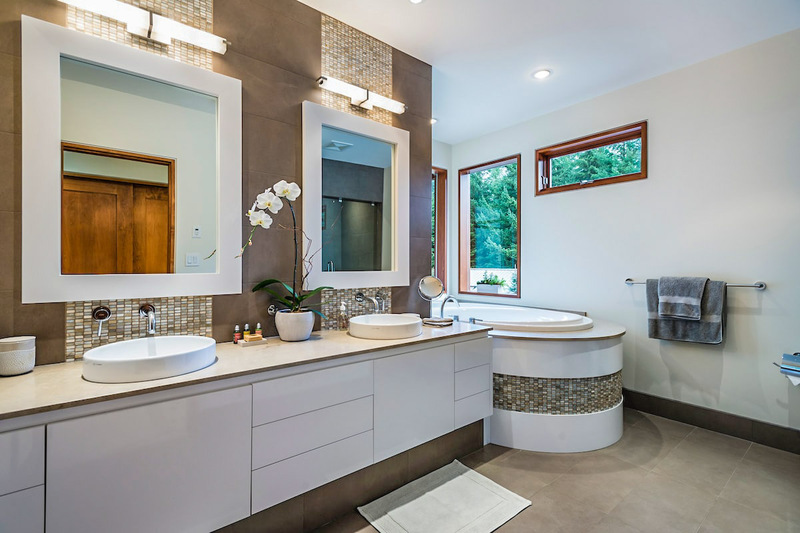 There are also 3 double bedrooms with ensuite bathrooms in the main house. 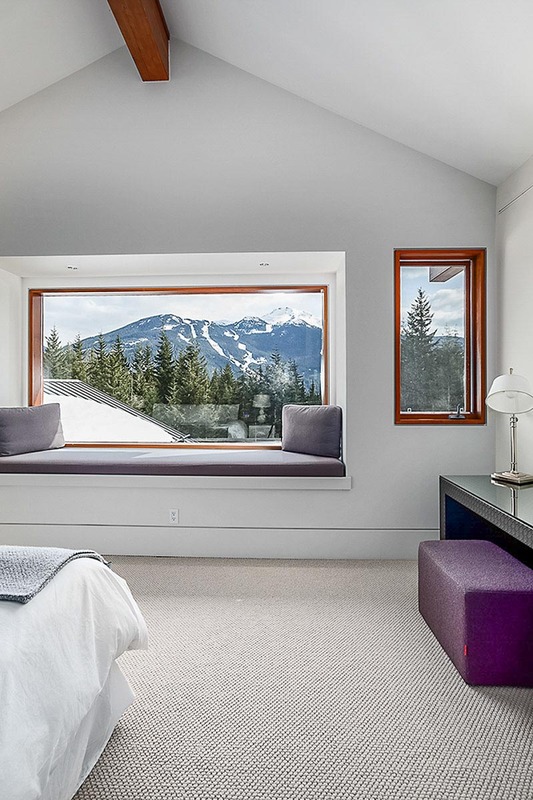 An additional charming 2 bedroom, 2 bathroom guest house is located next to the main house. 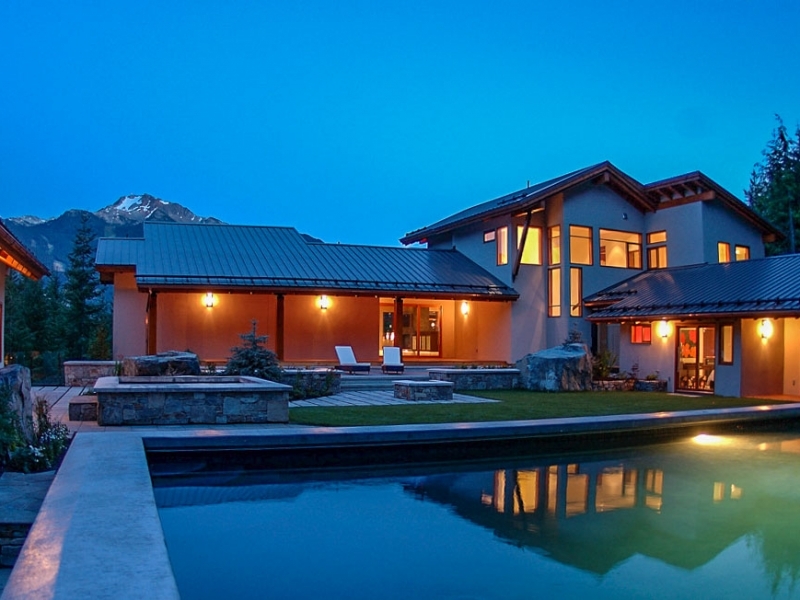 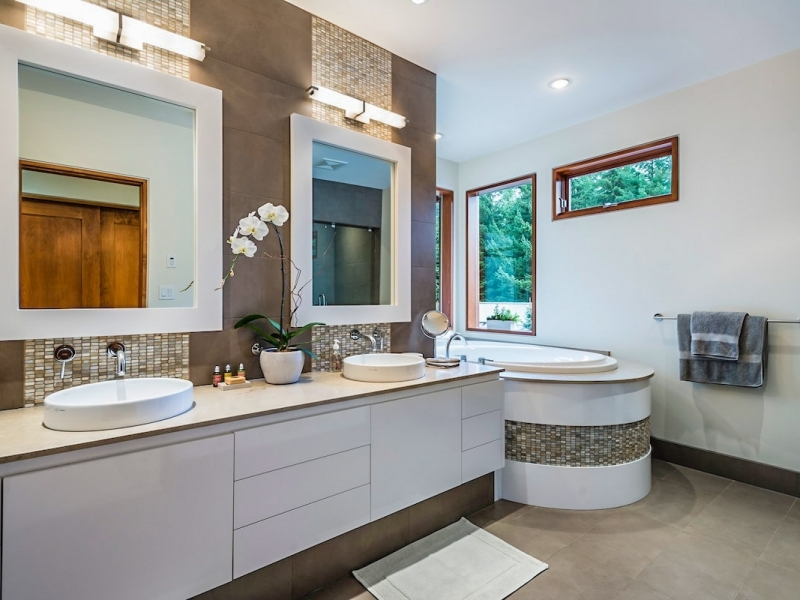 Enjoy this haven for guests with the same classic luxury style as the main home. 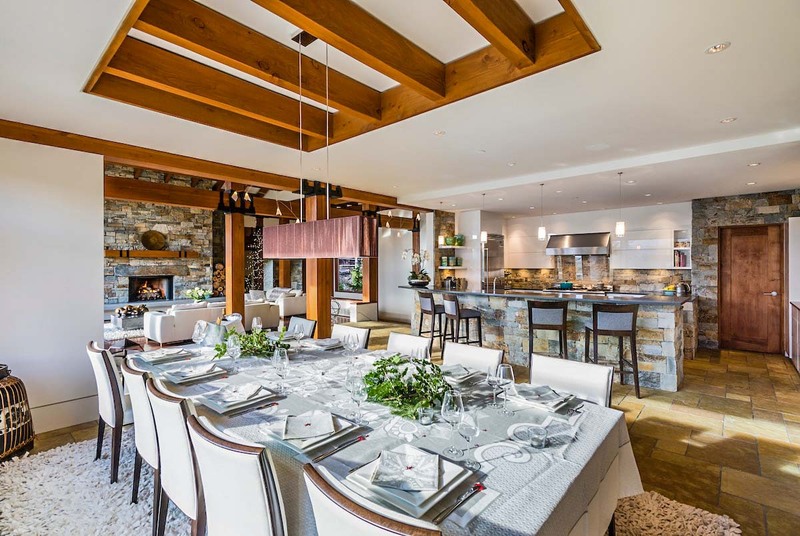 Approached via a gated laneway, Belmont Estate rests in Stonebridge, Whistler’s most exclusive and private neighborhood.